After creating 2 or more maps you might want to create a mapgroup, to join your map visualization into interactive tabs. For that, you can create map groups. 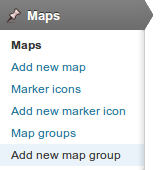 Now you can set a title and add maps to your map group. I'll name mine "Home maps", since I'll be using this map group as my home featured map. Adding and managing maps is pretty easey. Select on the list of available maps (the ones you've created on your JEO installation) which ones you'd like to render in your map group. After adding some, you can drag them around to change the order and mark to add the map to the "more" tab. This feature automatically appends the selected maps to a dropdown list on the map navigation interface. Is used mostly when you have a lot of maps to display on the map group and it breaks the tabs layout. After creating your map group, you might want to use it as your featured map. Head to JEO settings, on the dashboard menu. At the first tab, Front page, you'll have the settings of featured map. 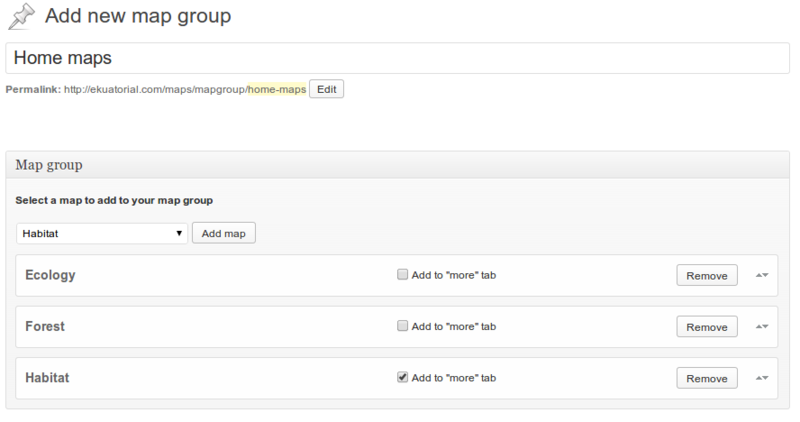 Select your map group, save and your map group is good to go!